Xander’s secret sends Isla reeling. Frustrated with her own stupidity, and in full denial of the pain she’s feeling, she resolves to teach him a lesson. As the legal owner of Rouge Passion, she’s in the perfect position to do just that. And boy, she could give lessons on how to deal with cheats. She goes all out to protect her position, including enlisting the services of two former Marines. Although fiercely independent, she has to rely on the staff to help her, something that proves difficult, especially after a drunken liaison. Can Xander outmanoeuvre her or, with the odds stacked against him, should he walk away? Is everything always black and white? Or do grey areas exist? Xander is forced to regret holding his cards so close to his chest but, when all is revealed, will he be left holding the winning hand? Look out for J.D.’s new series, Passion Noire, featuring some familiar faces from Passion Rouge … coming soon to a kindle near you! 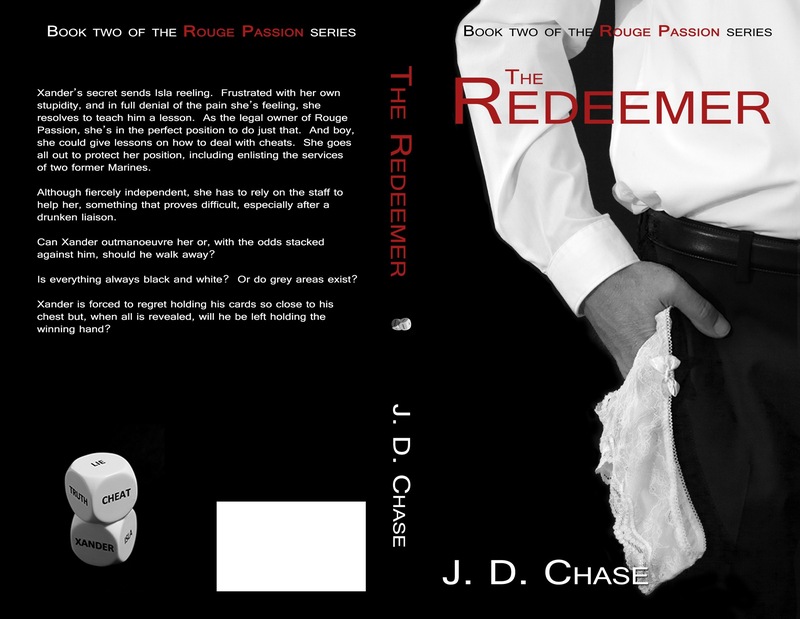 Amazon bestselling author, J.D. Chase is a hopeless, incurable romantic. When she’s not reading it, she’s writing it. Although these days, she spends much more time writing than she does reading. She hates getting to the end of a good book and will regularly put it down, limiting herself to reading one page at a time as it nears the end. She will mourn a good book for days. She hyperventilates whenever she releases a new book … never wanting to let her faithful readers down. She danced in delight when The Player held the #1 spot of both the erotica chart and the romantic erotica chart simultaneously for a week. She loves her readers and is eternally grateful for their support and frankness. JD loves to meet readers and fellow authors so she enjoys attending signing events and will be signing at several UK events in 2015 (Peterborough, London and Aberdeen) as well as Dublin and possibly further afield. If you’re going along, go and say hi … she’ll love to see you. Drop her a line – she’ll love you for it.